The Power of Produce (PoP) Club provides a fun opportunity for children to engage in the local food system through conversations with farmers, educational games and demonstrations, and exposure to new fruits and vegetables. 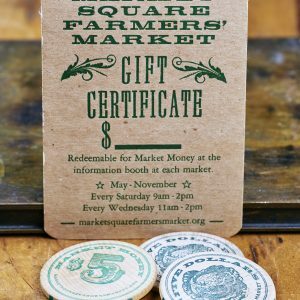 In addition to participating in educational activities, PoP Club kids receive vouchers (PoP Bucks) to spend, allowing them to make their own shopping decisions at the market. PoP Clubs are found at farmers’ markets across the country, and Nourish Knoxville brings this program to multiple Knox County farmers’ markets. Our PoP Club activities are made possible by our sponsors and the generous donations from our community. With support from the Knox County Health Department, we host school, after-school programs, and summer camp groups at our Wednesday Market Square Farmers’ Market and at the New Harvest Farmers’ Market. If your group is interested in scheduling a PoP Club field trip, please contact [email protected]. We are currently seeking presenting and daily sponsors for PoP Club. Please contact [email protected] or call 865-805-8687 for information.